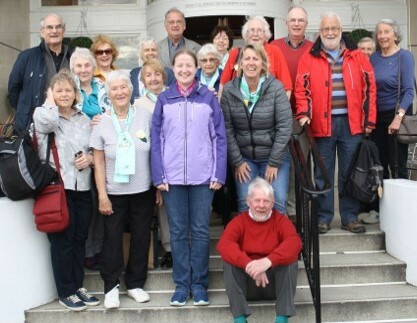 They enjoyed meeting fellowship members from other countries and visiting places of interest around Eastbourne. You can read a report of the trip here. The Annual General Meeting took place in the Mansion House, Dublin on 20th October 2018. After the meeting, former Lord Mayor, Councillor Dermot Lacey gave the group a tour of the historic building. The presentation on the Eastbourne gathering made at the meeting is available to view here. If you have news items you would like to share on this site, send us an e-mail with the information, preferably with photos.